Tinbe was not a particularly large fan of sand. It gets in your sandals, in between your toes, and drives a man insane. He was also not a particularly large fan of getting jerked around. There wasn’t much of an option though when a message from the Hokage’s office is delivered to your doorstep however. The note told him to go to the great desert and when the head of your village orders you anyway, you obey, even if it sends you on a wild goose chase to the middle of the desert without any remote form of direction or destination. The grumble was low and irritated as the young boy trudged through the sand. A little more direction would have been nice, like what he was supposed to be doing out here. All he was getting done at the moment was getting sand in his shoes. In a split second a blast of pulsing red chakraq hit the ground near Trinbe's feet, shooting sand all into the air, probably confusing the poor boy. Many feet in front of him stood the two decades old kage, Austin, eyes sternly fixed on his aprentice. He let out a deep breath of air and stared him down. "You should have been more prepared, like a beetle always is... You disapoint me..."
Tinbe stopped still as the sand in front of him exploded, the small grains of compressed earth spraying up onto his shoes. That was annoying. He didn’t need more sand in his shoes. Letting out a light sigh as he heard the voice, his read rose to look at his would be attacker. Well enough, it was the Hokage himself. He hated that man, he really really did. He was the epitome of everything there was to hate, but he was also the Hokage and leagues above him in terms of ability. As much as he would like to have turned around on the spot, he wasn’t going to scorn the man he owed his allegiance to, albeit grudgingly. He wasn’t one to jump of the handle and get aggressive at the drop of a hat, but being compared to a beetle was kind of annoying. Apart from that though, he would wait patiently until he got an explanation as to why he was dragged out to the middle of the desert. Pressing his hands together, the Hokage exhaled gently. "Then...You will do well in this spar to earn my respect..." He said soothingly as he pressed his hands together through the clanking of his metal armor. "Lets see if you can avoid this..." And with that, a small sphere of red energy radiated into his hand, which he tossed at his young apprentice, ready to explode the moment it hit anything. There are two ways young Tinbe could go about this scenario. He could be conservative, and not expend and devote himself fully to the fight. That way he could probably keep himself healthy if the Hokage was equally not serious. However, the Hokage did not have the reputation to be an easy going person. If he pushed Tinbe in any sort of capacity, the boy would probably not survive any extended period of time. The second path would be shortening his time himself, but he would be at his strongest and ideally, strong enough to hold his own until the Hokage got bored. In a puff of smoke, the Kozumikku Yoroi enveloped the boy’s body, the magnetic rods flaring out behind him. The boy shot up into the air, rising above the incoming red mass, staring down at the Hokage. He had fifteen minutes now, he would have to make the most of it. Tinbe gripped his weapon in his hand, spear-point directed at the Hokage’s chest, and shot toward the man, fully intending to drive the blade through the man’s heart. The Hokage forced his palms outwards, before contracting to his chest as he dissapeared using Body Flicker, to reappear about fiteen feet away from the projectile where he then forced his hands to the ground. "Eradication Mass Plague..." He said in his sfot voice as he pumped his radiation chakra into the air, making it thick with the stuff, forcing the mid charge genin nearly half way down to the ground, barely standing at 60% straight up under the immense weight of the air, making him slow. Both of their speeds were reduced as well, but being a kage his already higher trained speed gave him an advantage against the weakened boy. Tinbe got up slowly, this strange pressure was a severe hindrance. Speed was his greatest asset and this almost completely neutralized it. His magnetic push was as strong as it had been, but his body itself would not be able to traverse at the same speed. It was terribly irritating. It didn't look like he was going to be able to make this a fight of taijutsu. Luckily, he wasn't completely useless at a range. The boy spun his spear back into place in its holster before pulling out two kunai. Spinning the spear wasn't just for show, he was getting a feel for how much resistance the field was putting up. He would have to angle his throws up a few degrees to at least make it look like he was trying to connect. He was hoping to trap him with the trip wire technique. The electrical current was nearly invisible and without close inspection, there'd be nothing to think they were anything but simply kunai. The first was released, angled a bit up and the point would be heading right for his chest and more importantly, two feet behind his current position. This was all assuming he of course kept his pattern of poofing out of the way of anything. If the pattern changed, well, back to the drawing board. Pulling his hands back the kage pulled out a small trident, holding it in a down position. In one hundred and seventy-eight years he would not put it past a Raiton user to use metal wire. Holding his spear's tip down, he gently channeled his chakra into the blade, as it glowed in a red fashion, he waited for the kunai. Waiting...Watching. "A nice try...You suprised, and scared me...For a second." The kage gently admitted. The Hokage's move surprised Tinbe. He pulled out a giant metal weapon and, in a relatively foolish manuever, caught the wire and began winding both it and the kunai around his weapon. All while Tinbe held the other end of the connection. Quickly, the boy dropped to his knees, setting the kunai on the ground and pinning it was his foot, making sure the Hokage did not wrench the other half away. Quickly the boy formed his hand seal and as the Hokage began to admonish being surprised, Tinbe looked up and grinned behind his metallic mask. "Denkou no Ori no Jutsu!" 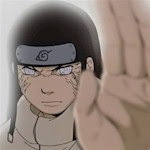 Electricity sprung from Tinbe's finger tips and into the wire and sped as only electricty can toward the Hokage. He was either going to relinquish his weapon, or he was going to be forced into the electric trap. The current traveled fast, blazing onto the metal prongs of the trident and impacting with a bang on the wooden arm of the pole. Easily, the ple burst into flames. "Gah!" The kage elt out a startled yell as he released his grip from the pole, which lay burning on the sand. A few hand seals later a torrent of water circled round the kage, building up strength and energy. He was performing a suiton jutsu...In the desert?! Truly it was a show of his prowess, to intimidate the young boy more that anything. Soon enough a strong blast of energy released itself and burst fourth, ready to smash against the genin. A swirling typhoon of water shot accros the sand, creating almost a horizontal dome to drown the young boy. "Water Style:...! Water Vortex!" The words gently ushered from his mouth. "Ha!" He let out the grunt as the tmep picked up, a blasting surge of water heading at the kid. A triumphant look donned on the boy. He hit the hokage. That meant something didn't it? It would have been better if he was fully trapped, but this worked sufficiently enough. It was a good start. He was making progress, if he just kept going a little bit faster he could maybe get him. Of course, that was hopeless optimism. The boy's jaw dropped a few inches as he saw the water amassing near the hokage. Was he honestly conjuring up that much water in the middle of the desert? How was that even possible. Tinbe recognized that attack. He'd seen it before and he knew full well that he wasn't going to be able to move out of the way in time in with the strange chakra field in place. He'd have to try and go straight through it. The boy gripped his spear tightly and determinedly as the cone started to form. "Raiton: Kozumukki Yaroi: Kozumukki Yari!" Taking a step forward in the sand, the boy brought his spear to his ear and snapped his arm forward. The spear shot, and really shot out of his arm and flung itself toward the Hokage and his water cone. It didn't have remotely near the desired effect and he was not able to put enough force behind the throw to disperse the cone, simply punch through it. The spear would have been slowed down too much though, it should not be difficult for the hokage to dodge it. Unless he recovered far too slowly from his jutsu. The torrent of water smacked into the boy's body and he was flown backward in the current, washing up in a heap on the now wet sand. His armor had cushioned some of the blow, enough that he would be able to get up from it, and slowly he did indeed drag himself to his feet, turning his eyes back to the hokage with heavy breaths. Tinbe slowly got up and glared at the Hokage. He hated being talked down to, he hated it with a passion. If it were in his ability to kill this man he would do it in a heartbeat. The boy walked around the Hokage, obvious discomfort and agitation on his face. Being called a worm did not sit very well with him. Unfortunately, he wasn't ready to give up. The master was drawled out rather vindictively. If he thought the boy was just bitter then maybe he wouldn't notice what he was doing. Then again, he was the Hokage, Tinbe had to simply assume every plan he had would fail, and if it did, well, at least he'd get his spear back. The boy finally stopped pacing and turned grumpily towards the Hokage. A small magnetic force was building up in his shield as he turned, contempt ridden all over his face. "If it involves picking berries, I'm not interested." The boy dropped his shield to his side and his spear shot toward it. The best case scenario would be the weapon being inbedded in the Hokage's leg. The worst case scenario he would catch the spear on his shield. Well, the worst case scenario was that it pissed the Hokage off and he got blown up on the spot, but let's not think about that. In a simple dodge, the Hokage disappeared and reappeared not too far behind his ytoung apprentice, his hands in a simple ram seal. "Body flicker..." He blinked, eyes narrowing into a glare at Tinbe. "is very helpful when you...think about it..." He finished gently. 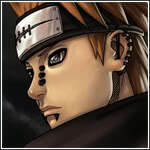 "It matters not...I want you to go to Sunagakure and tell me..." He turned to look in the direction of the village. "what Roxas is doing...I want you to be my ears and eyes here..." With that, he walked gently into the distance.